The food came very quickly in succession such that we were clearing room in between quick forkfuls of food. First off the rank was a salad with crumbled feta, marinated roast capsicum and lettuce. Then came my favourite off all time – Chorizo a la Plancha (grilled Spanish sausage). Oh dear. Only in looking at this close up shot did I see the fatty bits – but blindly eating, it was DIVINE. Crispy and tasty and plenty of it. Next came the Patatas Bravas (fried potato with garlic mayonnaise and spicy tomato salsa). Unfortunately, I had only one cube of potato as that gross white substance had touched every other piece. I was told that they were delicious though, despite my prejudice. Oh well, bring on the Champinones al Ajillo – garlic mushrooms – and don’t plan on having a pash afterwards. They were very tasty and moist, and not overcooked either. The garlic pizza came, with tomato dressing. Crispy crust and a good thickness, which would indicate that these guys could do a great pizza too. But my attention quickly diverted to the sevillanas (prawns in spicy tomato). They came bubbling to the table – slightly dangerous, but so so fresh, and a great chilli bite at the end (too spicy for some on my table though). There were 8 per serve. 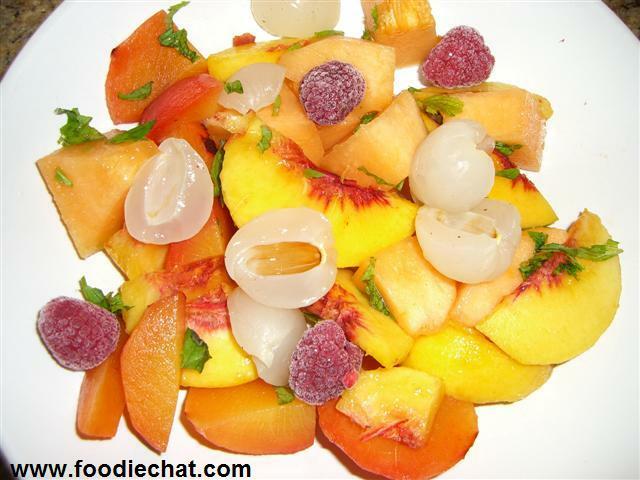 You are currently browsing the FoodieChat weblog archives for February, 2007.